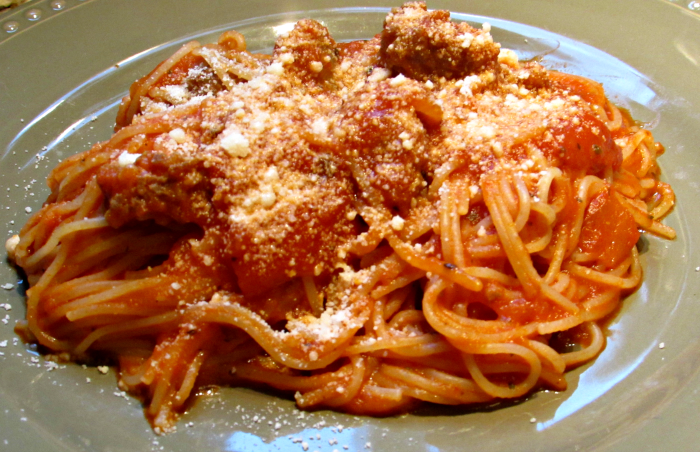 One of the most served meals is spaghetti with meat sauce. Are you tired of eating meat sauce out of jar, but don’t have time to make it from scratch? Well today I want to share with you a recipe that will solve that problem. I call it a semi-homemade sauce because you use the convenience of canned tomatoes to make it. There is no shame to be had when getting a little help with your meal! We are all busy and should take the help when we can get it… and that help may come from a can sometimes. The following meat sauce is a hit with my contributor, Laura’s, household and I am sure it will be in your house too. Doesn’t it look delicious? 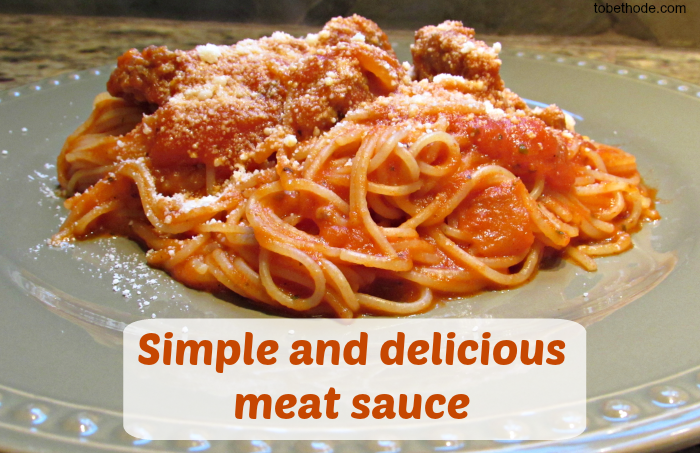 Here is a simple and delicious meat sauce recipe for you! If your family loves to eat spaghetti (or mostaccioli or some other noodle), you have to try this sauce! Please let me know what you think about it if you do.